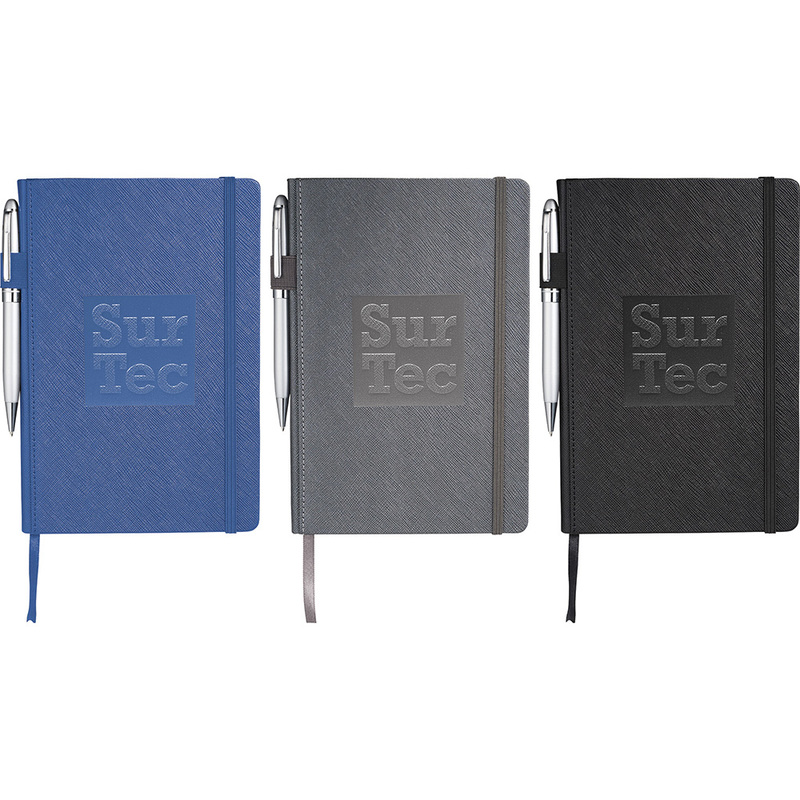 Premium, textured hard cover bound journal. Elastic pen loop on spine. Elastic closure and ribbon page marker. Pen not included. Available in 3 colours. Back document accordion pocket. 96 white lined sheets of paper with color matching painted edges.